Chloe sandal in glittered, pebbled, and stitched leather. 0.2" flat stacked heel. Open toe. Scalloped strappy vamp. Slide style. Leather lining and sole. Made in Italy. 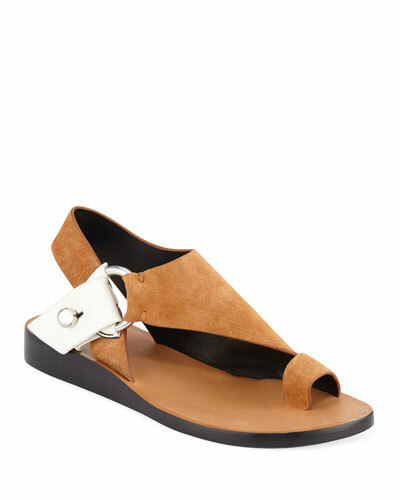 Chloe suede sandals with signature scalloped edging and buckle detail. 0.3" braided-jute heel. Open toe. Crisscross strap upper. Slip-on style. Leather logo-patch footbed. Leather lining and outsole. "Lauren" is made in Spain. 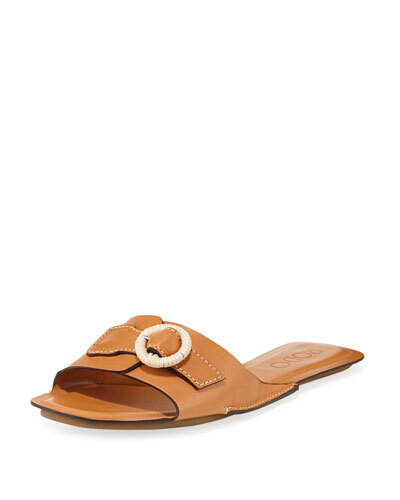 Chloe "Virginia" leather sandals. 0.2" flat stacked heel. Strap bands open toe. Crisscross strappy upper. Adjustable ankle strap. Cutout backstay. Leather lining. Smooth outsole. Made in Italy. 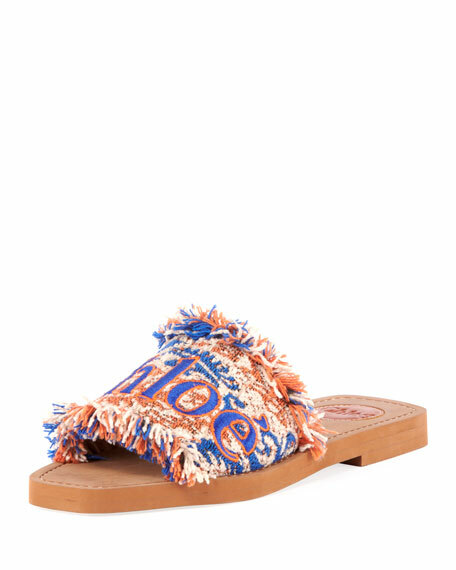 Chloe sandals in fringed tweed fabric with embroidered logo upper. 0.3" flat heel. Open toe. Slide-on style. Topstitched leather footbed. Rubber outsole. "Woody" is made in Italy.